Whether your holidays are cause for celebration or exhaustion from over-celebrating, alcohol is more often than not involved in the merrymaking. We at Food Hacks are very fond of enjoying this particular indulgence in lots of different ways. Flavored liquors and liqueurs have become pretty popular in recent years, with crazy flavors from birthday cake (yuck) to passionfruit found in stores internationally. 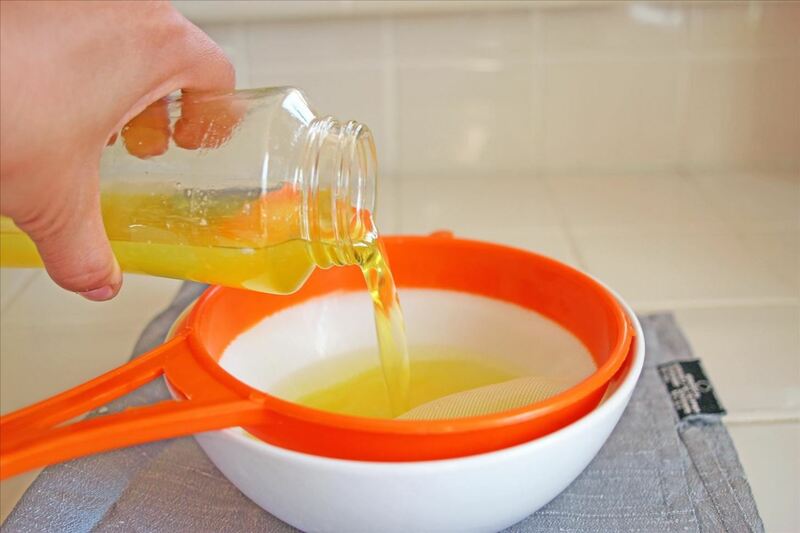 However, it's very simple to make your own homemade infused liquor at home—and it's especially easy to use candy to do so. 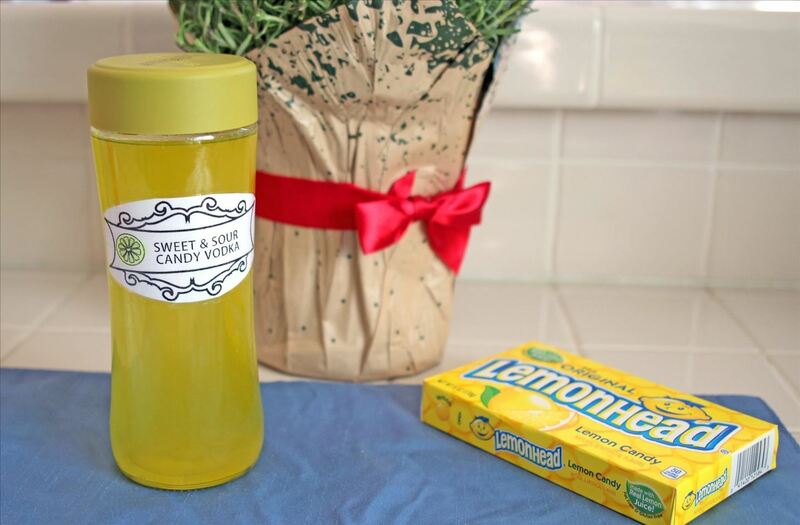 Lemonhead vodka is one of the easiest and versatile homemade infused liquors you can make. 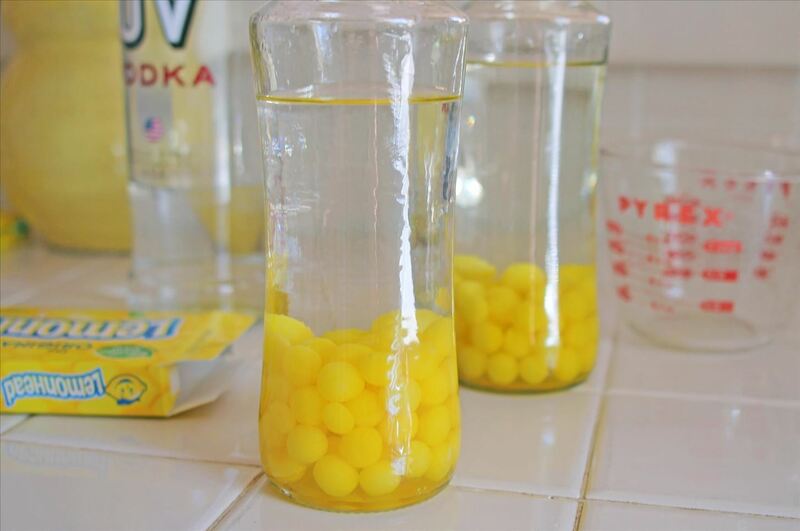 The candy adds both sour and sweet flavors to the vodka, which is perfect for shots and cocktails. What makes Lemonhead-infused vodka stand above the rest is that it only requires one day to steep. The reason Lemonhead candy works so well when used as a flavor infuser is because they are sour all the way through, unlike other sour candies which are only extremely sour on the outside. Lemonhead candy, made by Ferrara Pan Candy Company since 1962, are created using the cold panning process. The candy is made by building around a candy center, much like an oyster makes a pearl. The sourness comes mainly from the soft, chewy center, not the thin outer shell. 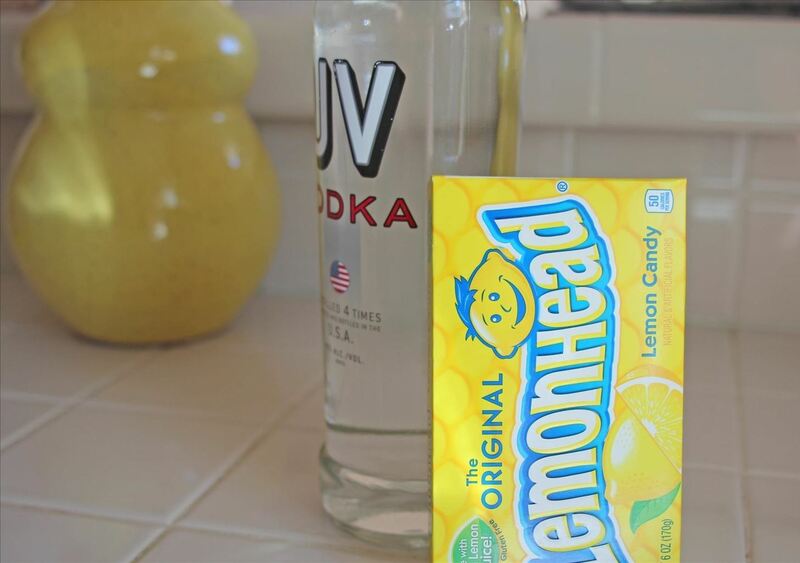 Combine vodka with Lemonhead candy in a glass container. Let stand for 24 hours. Strain to remove any candy particles. Once the liquor is strained, pour into small, clean glass bottles. If you're making a batch of this to give as gifts, print out labels (link below) and attach them to bottles. Note: The bottles above are recycled Argo Tea bottles. Because they are glass and I like their tea, I always save them to use again for water, iced coffee, and DIY concoctions like this one. Like the label in the image above? Then download the PDF template for it. Just print out the page, trim with scissors, color the lemon in yellow, and affix it to gift bottles with string, twine, or clear packing tape. 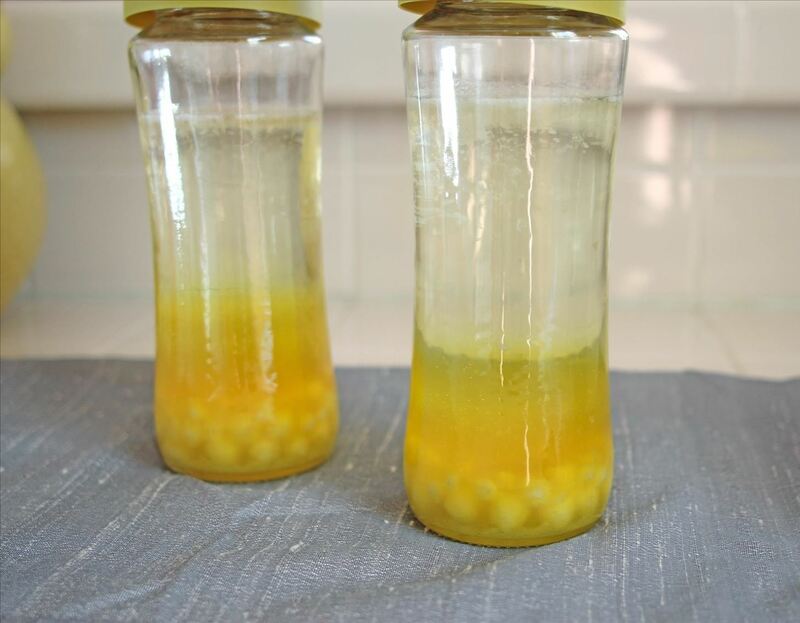 The best part about this simple infusion method is that you can use it to make flavored vodka with everything from herbs to fruit to chili peppers. Follow Yumi's illustrations to learn more. And for you fellow candy lovers out there, the Skittles-infused version makes a rainbow of delicious flavors. As mentioned before, this sweet and sour vodka is perfect for shots and cocktails. Drinks Mixer has a great list of cocktails that use lemon vodka—but feel free to invent your own!